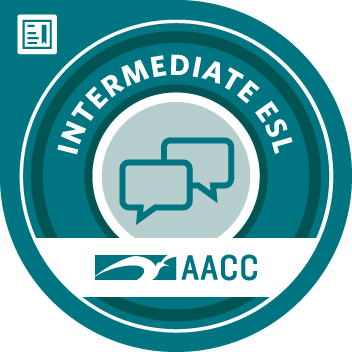 ELL 301/302 Interactive English: Intermediate ESL focuses on effective strategies and techniques for reading, writing, listening, and speaking. Practice interactive activities by exploring contemporary topics. Develop grammar skills while building vocabulary. Build confidence expressing ideas and opinions about global issues. Successfully complete a presentation on a current issue. Participate in discussions on assigned readings. Apply reading and writing skills to improve comprehension and expression of ideas. Use advanced grammar forms and functions to strengthen accuracy and range of ideas . Build vocabulary in order interpret and evaluate information in multiple contexts. Develop critical thinking skills and creativity while exploring a variety of contemporary topics.